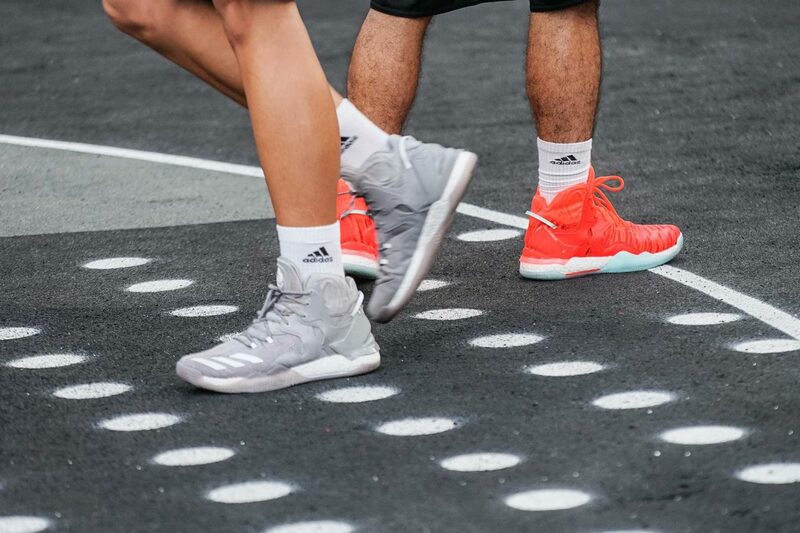 We followed the trails of a group of talented hoopers all the way to Shanghai. 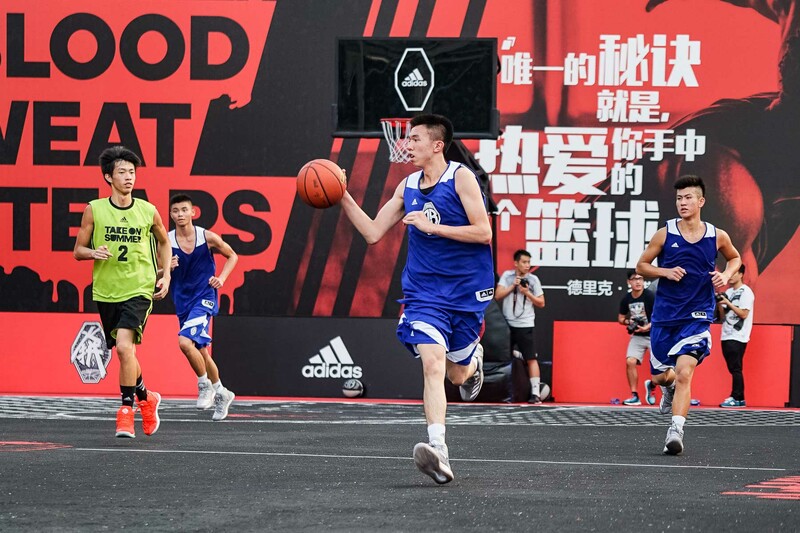 Six teams, each representing different regions are preparing to battle for the ABL championship title. 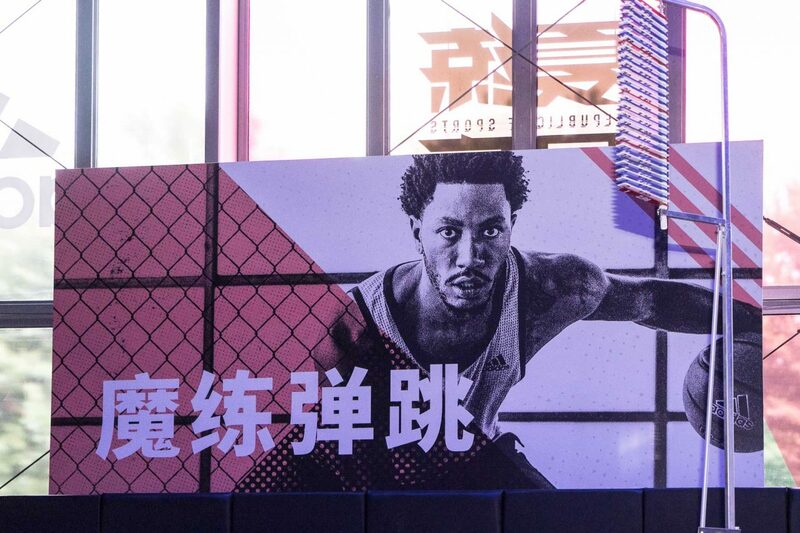 A day prior to the main event, the Taiwanese team laced up their D-Rose 7s' and had an exhibition game with the squad from Hong Kong. 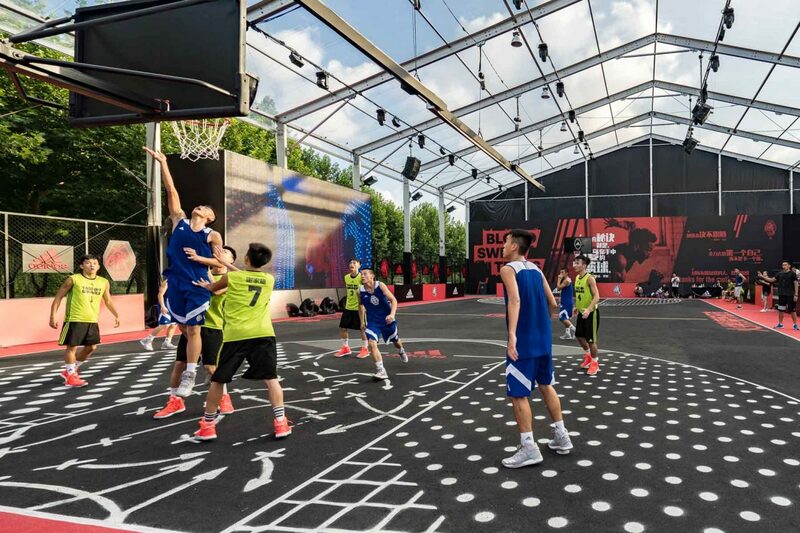 nnBesides from the ABL finals stage, the 'Republic of Sports' is a 4,500 square meter indoor venue that was specially designed to provide a month-long sports and fitness experience for visitors. 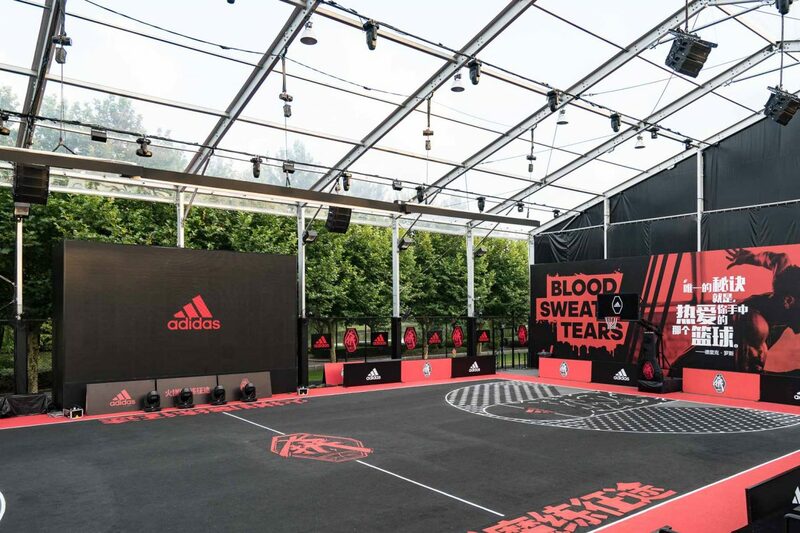 In which they will discover sporting gears in all four of Adidas' core categories including basketball, football, training and running. 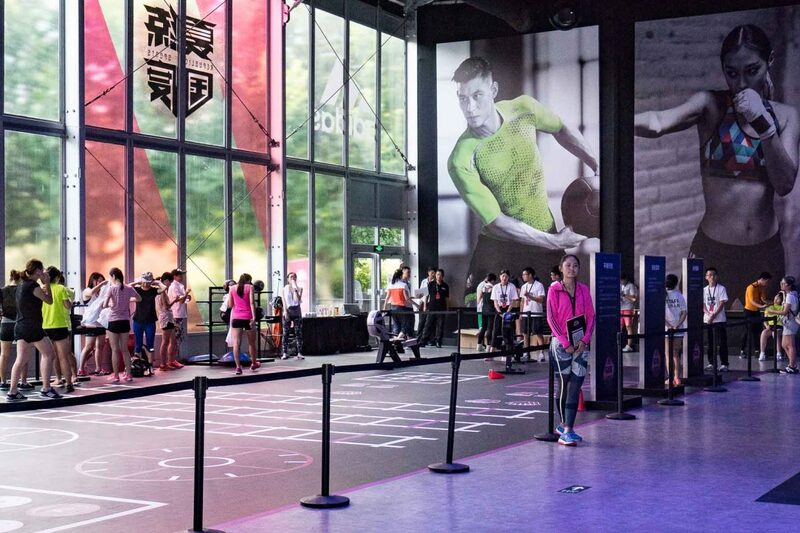 Each area within the venue also provides interaction installations. 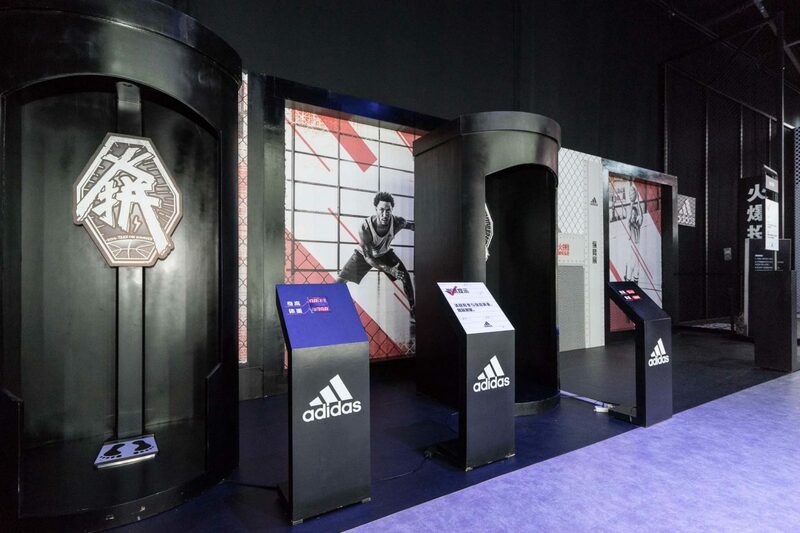 Visitors are only required to register at the official Adidas account through Wechat to participate in the mini games. 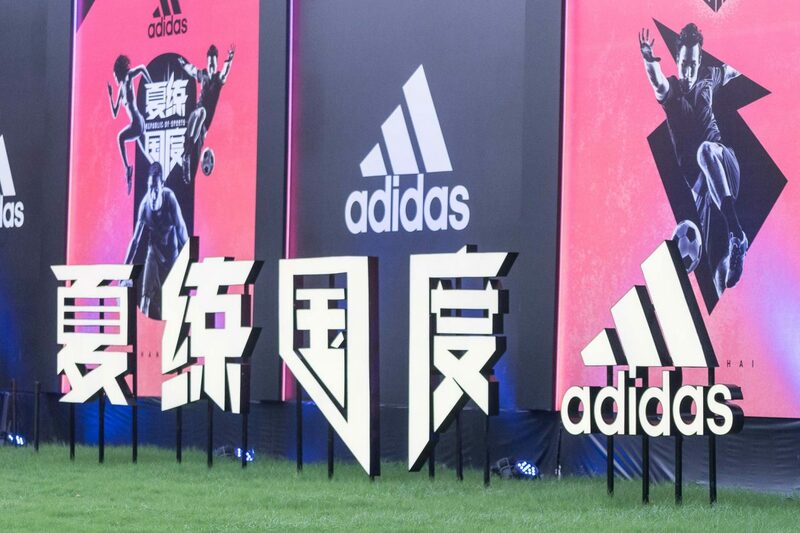 You may visit http://ros.adidas.cn for more details on the event. 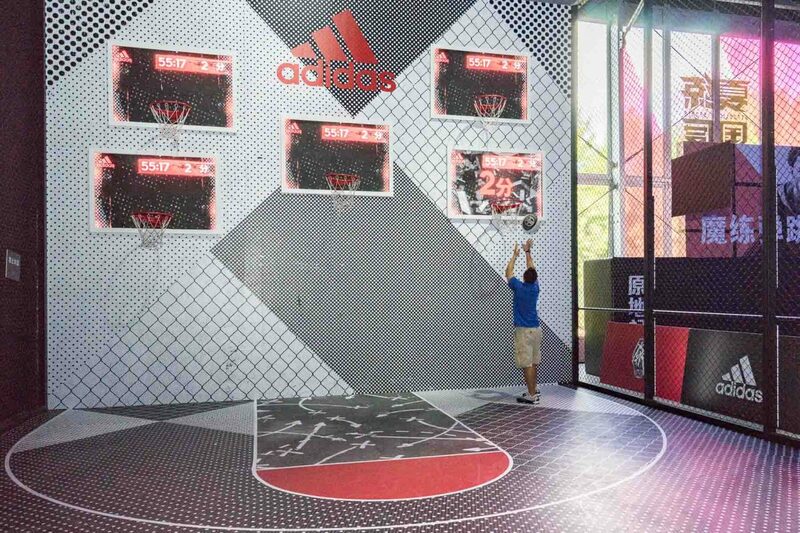 nnBasketball areanThe basketball area layout is inspired by locker rooms. 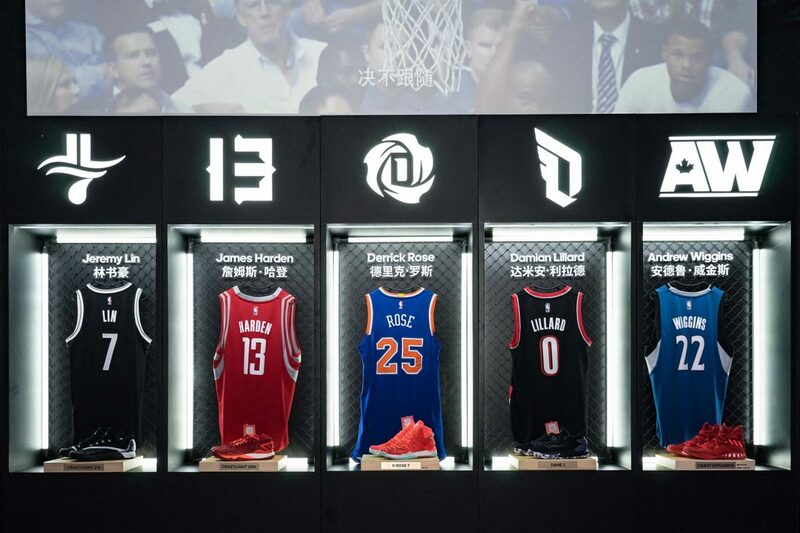 Where the freshly introduced D Rose 7 is presented along with his Knicks Jersey. 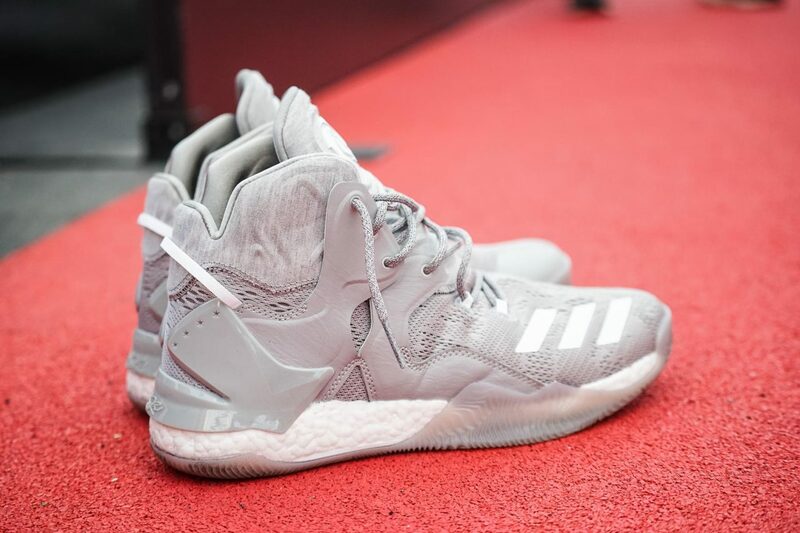 During the main event coming up tomorrow, Derrick Rose himself is going to present his kicks to the audiences. 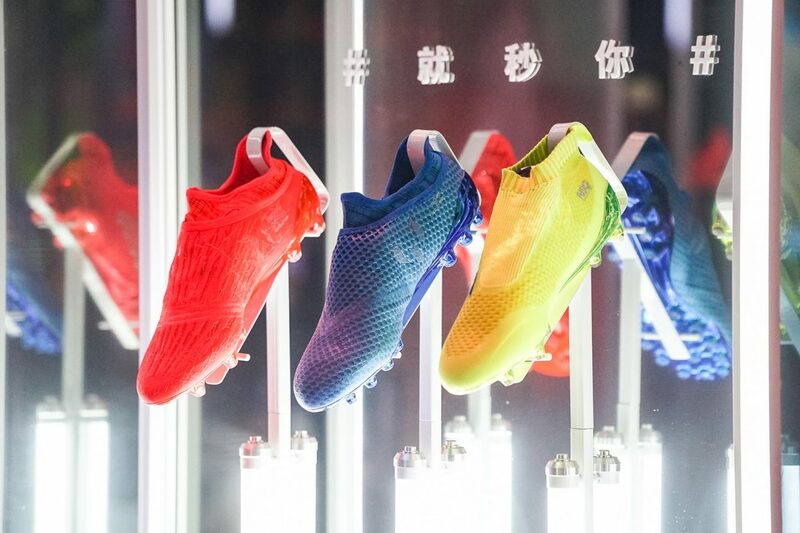 nnFootball areanWalking in to the area, a series of laceless cleats has definitely caught the attention of our eyes. 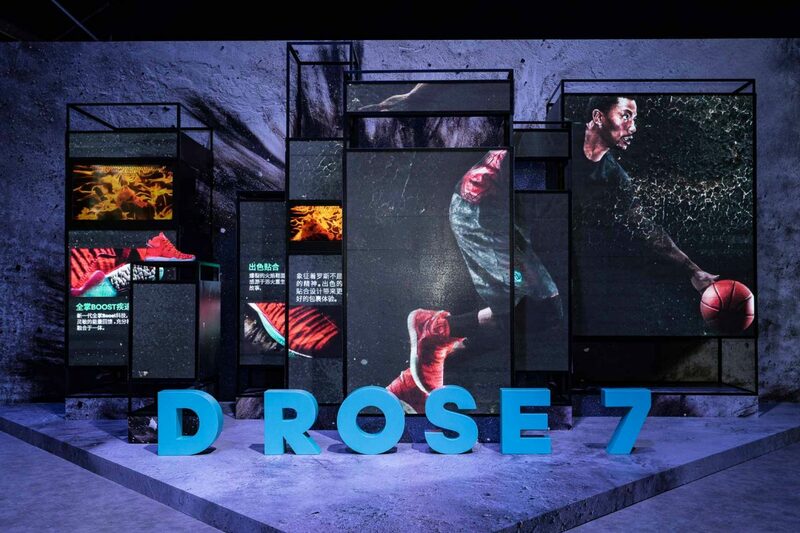 “The Speed of Light Pack” introduces an innovative design which they embodies the concept of simplicity. 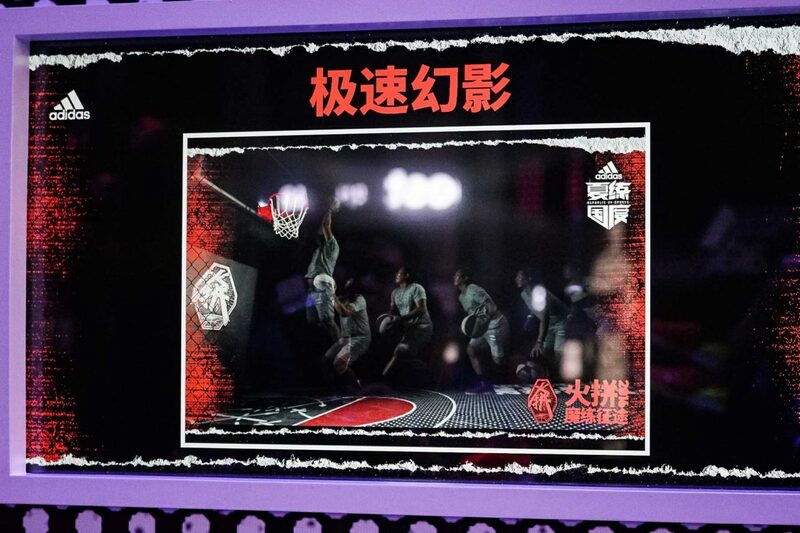 To be honest, these samples got me lingering for a while. 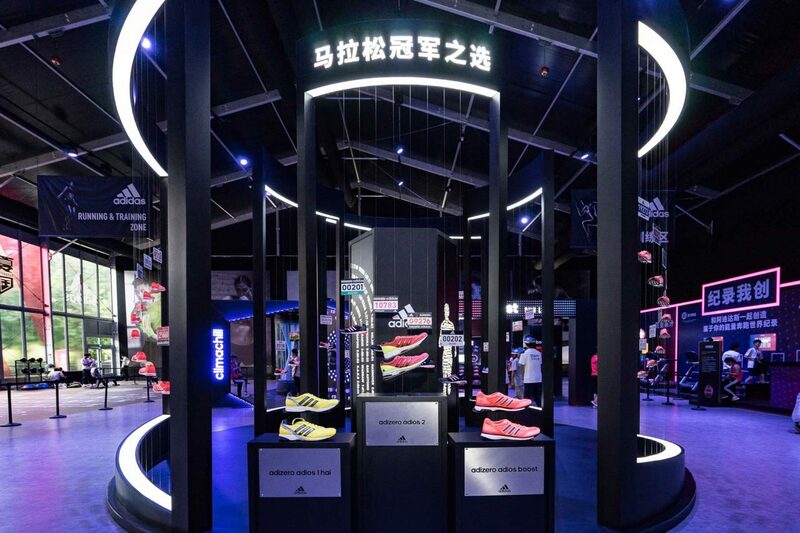 nnRunning areanThe BOOST Run lab demonstrates the process of Research and development of the BOOST technology. 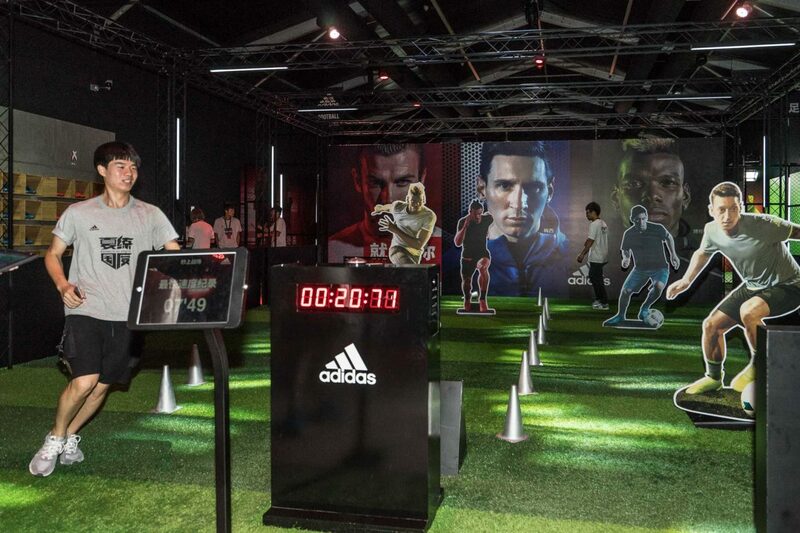 A carpet made of BOOST material is demonstrated for visitors to experience how the feedback of energy benefits the impact protection on the shoes. 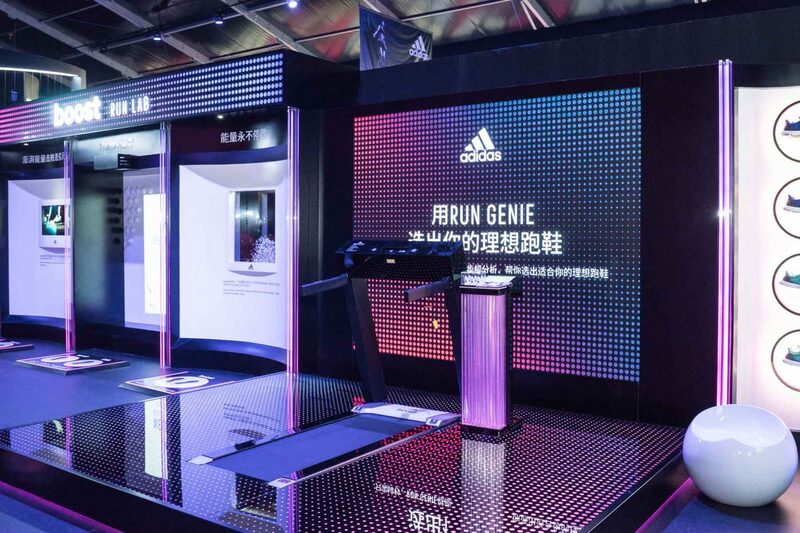 Interestingly, there you can also find an interaction installation featuring “RUNGENIE” where you receive a complete measure of your feet in order to select the best pair that matches you toe to ankle. 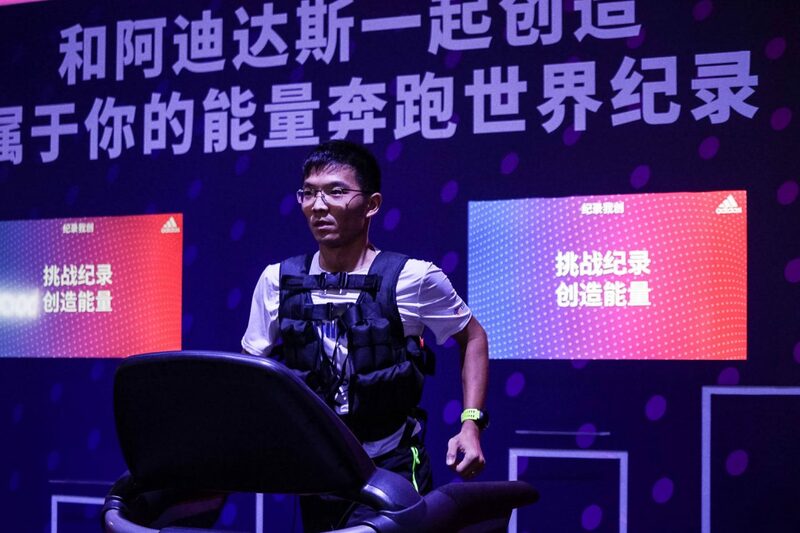 nnTraining areanClimachill series is a cooling apparel technology designed for athletes to sustain through high temperature. 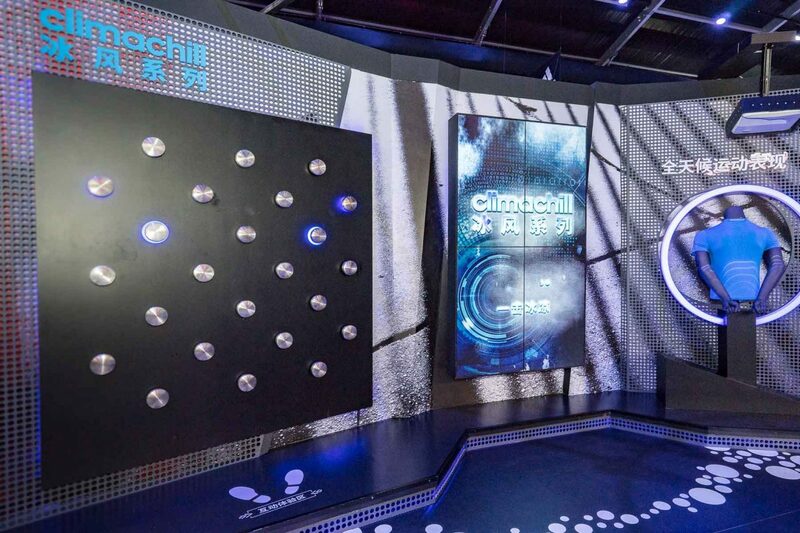 In the Training area, a thermal test demonstration zone allows the visitors to get a feel of the how the technology works.